How Can Websites Rank Well Without Backlinks? A large proportion of people out there seem to believe that backlinks form the backbone of a website's SEO strategy. 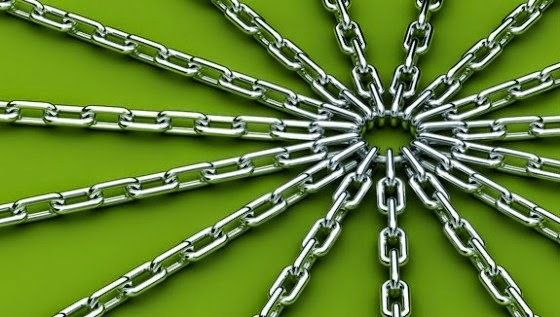 Having high-quality and relevant backlinks has its advantages, but are they a necessity? We have talked about this topic many times in the past. Today, I'd like to share highlights from Googler John Mueller's recent hangout where he proved that backlinks, while important, are not a must for ranking well in Google! John Mueller is the Webmaster Trends Analyst at Google. He shared an instance of a website ranking well without backlinks during his hangout at the GooglePlex with two of his colleagues. Here's the video of the hangout, with adjusted starting position. Someone asked at the 26 minutes and 3 seconds mark, why does Google use links for ranking at the level they do. He said, Google should use other means to rank sites. Of course, he knows they do use other factors but his point was why do they place so much weight on links. John Mueller answered that saying they do have tons of other factors outside of just links. John then said he has a friend of his who is “back home” in Zurich, his friend just put up a new web site for the local neighborhood. The new site does not have any links at all and over 300 pages are indexed and pages are ranking and they are getting a lot of traffic from search. No one ever linked to the site ever, he said, but they did submit sitemaps to Google and they have an RSS feed. The web site does fairly well without any links at all, John said. So it is not the case you absolutely need links to rank, he added. John did say that links are "obviously" it is part of Google’s ranking factors, but it isn’t something Google only relies on. With that being said, let's not forget the importance of backlinks. But the point here is, there are many other factors you need to be focusing on as well. Thanks for this article, hope backlinks wouldn't be the most important in SEO factor. BTW, would you mind tell me how to do the "Floating Facebook like" that attached directly to the border of the article. Because All I can do is just attached to the "LEFT" of the windows, NOT the left of the "content" itself. Further, would you please tell me how to do this floating that WON'T stay in front of your article when you decrease the size of the windows. As you can see when I resize the window the article would be covered by the "Floating Social".